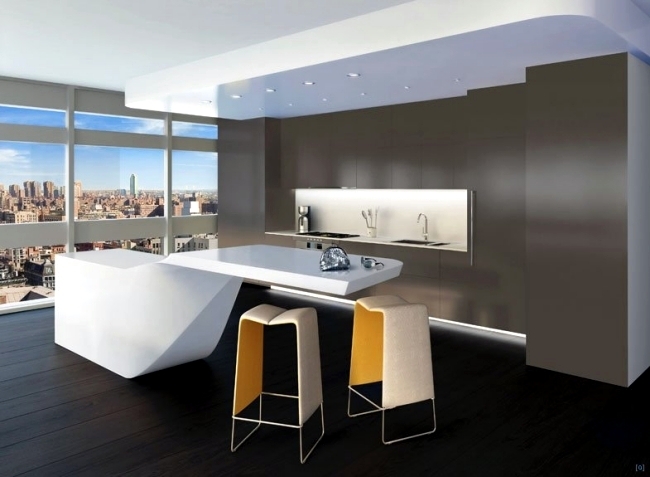 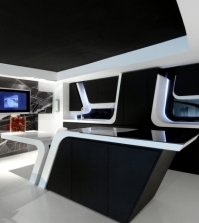 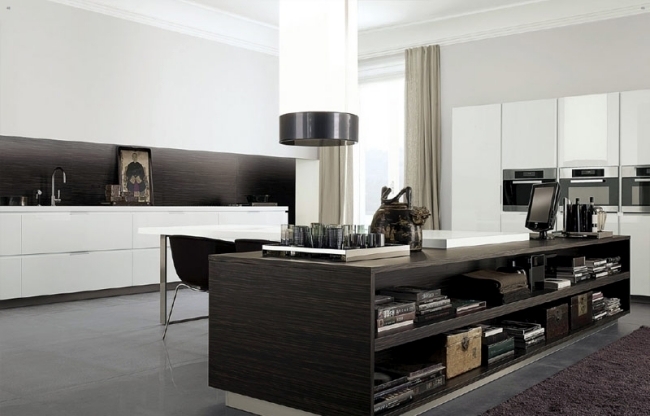 Minimalism is the new trend in interior design and modern furniture design. 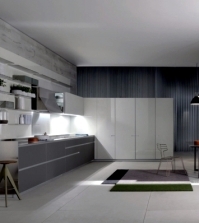 It features modern residential areas and is characterized by elegant lines, reflective surfaces and high-quality materials from. 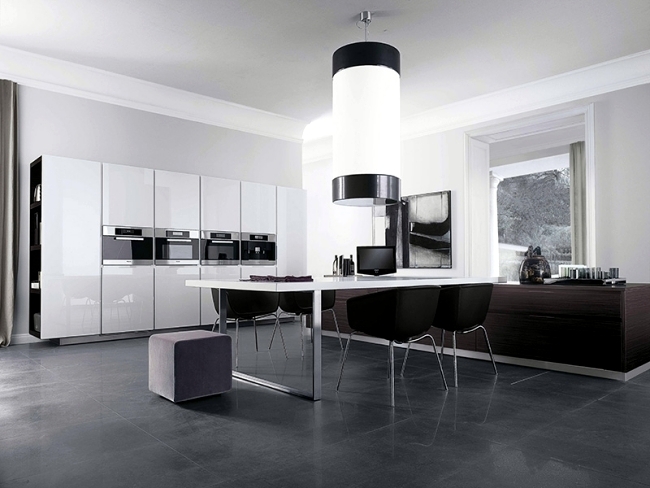 Today we present the minimalism in the kitchen. 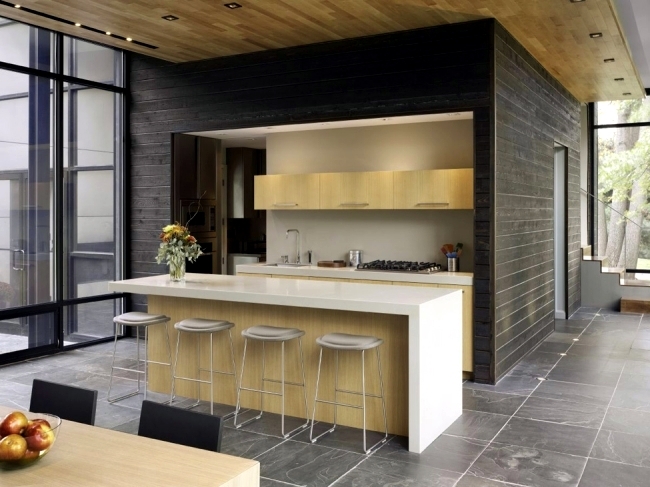 Get some ideas on how you can implement this style in your own home. 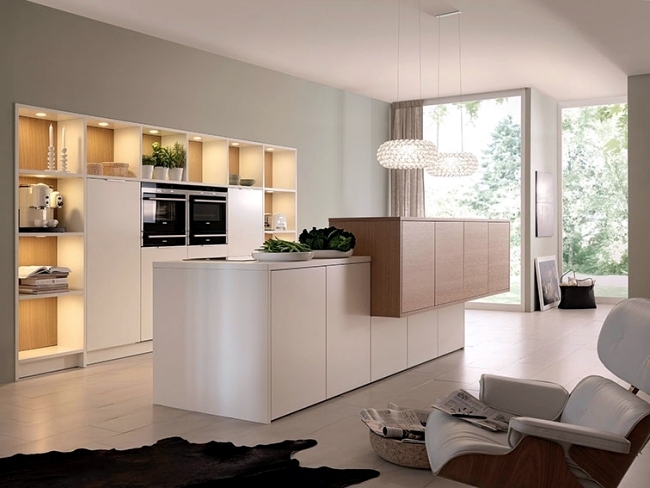 The kitchenette has a simple design, no frills, which can focus on the open kitchen design. 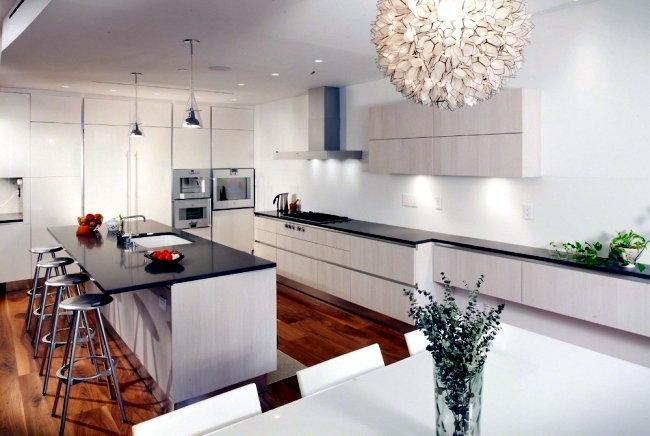 Lighting can be either dramatic or elegant and modern. 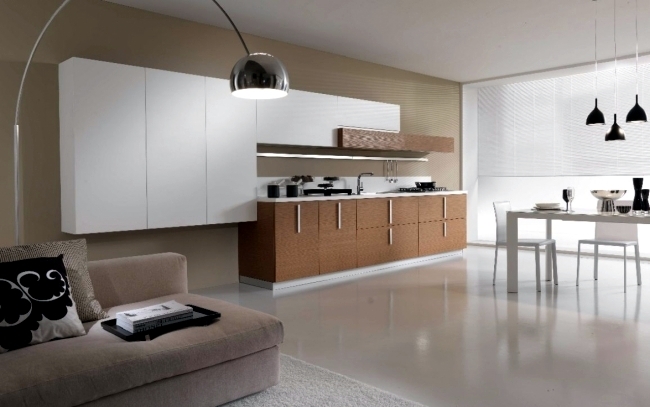 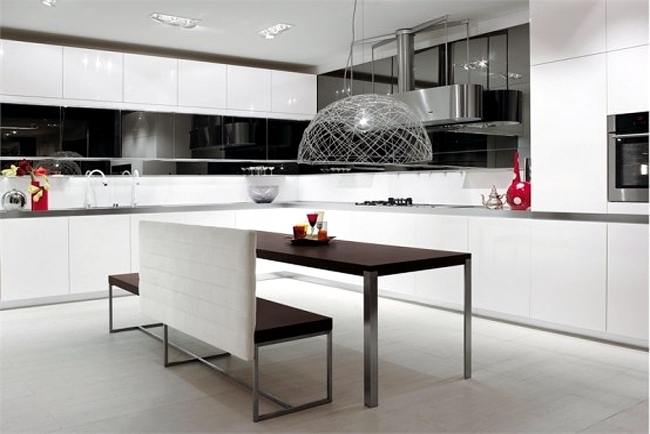 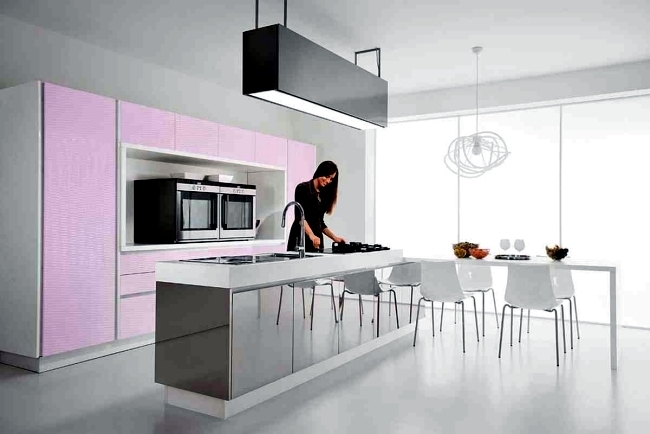 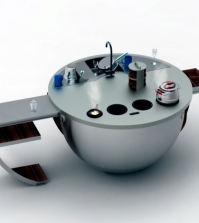 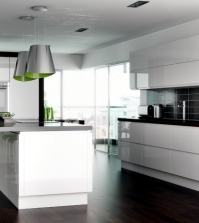 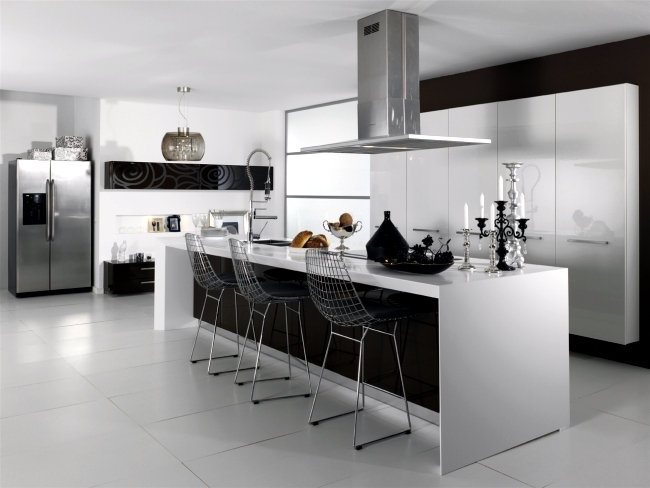 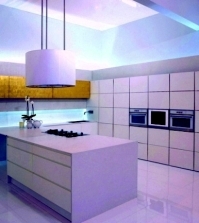 The furniture is multifunctional and most kitchen appliances installed in cabinets. 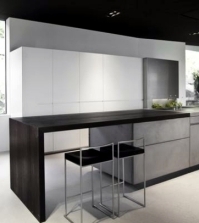 The color combinations are typical black, white, gray, beige, but you can add touches of colors like apple green, turquoise, purple and yellow add. 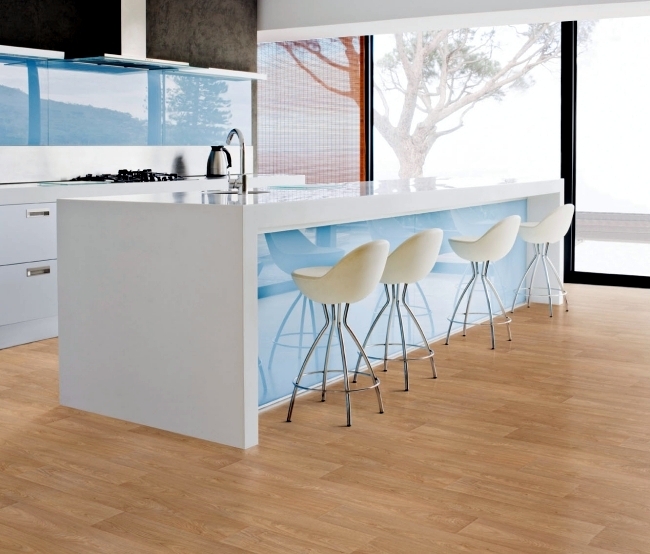 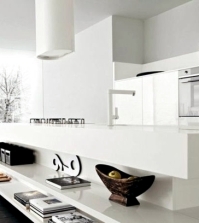 Minimalism in the kitchen not tolerate disorder or disorder. 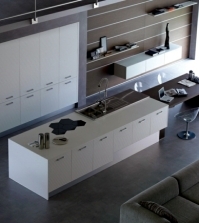 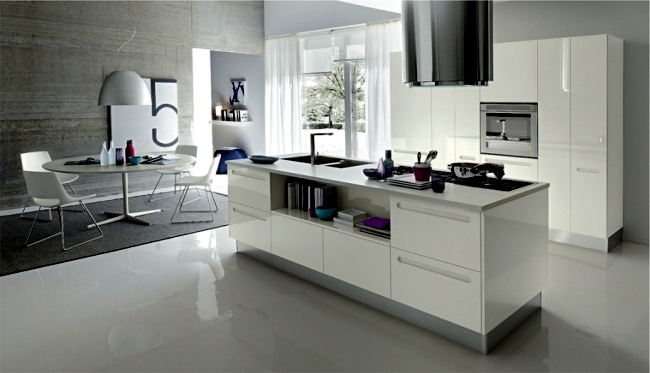 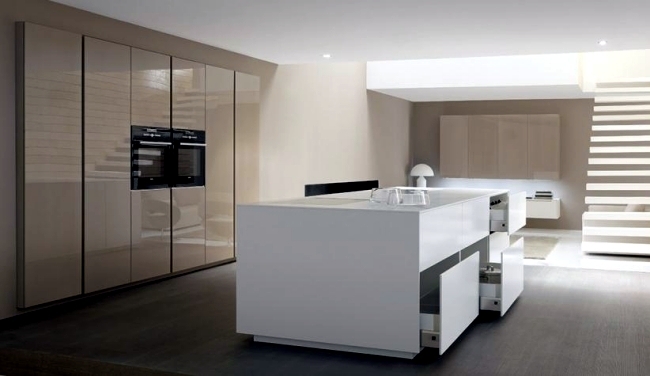 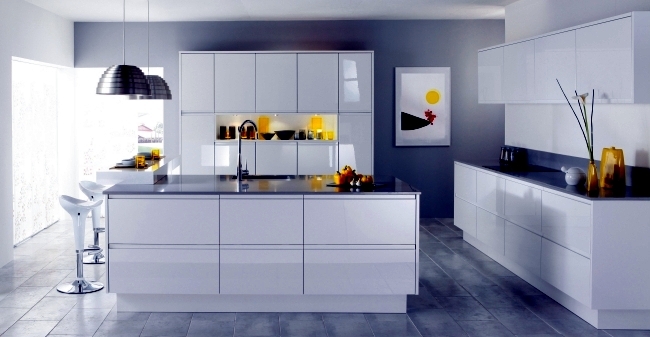 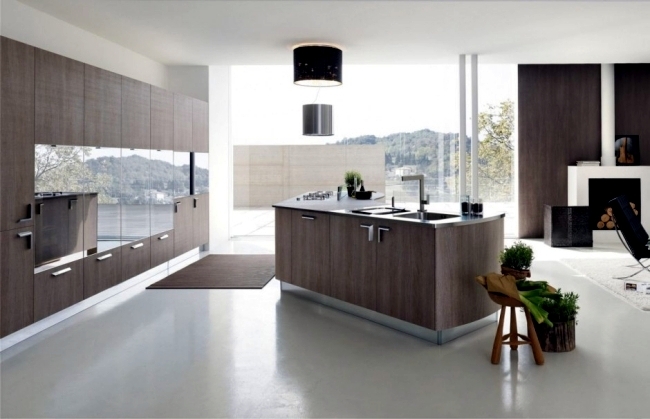 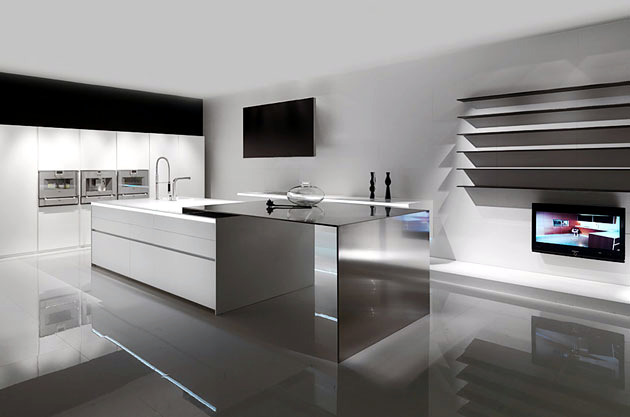 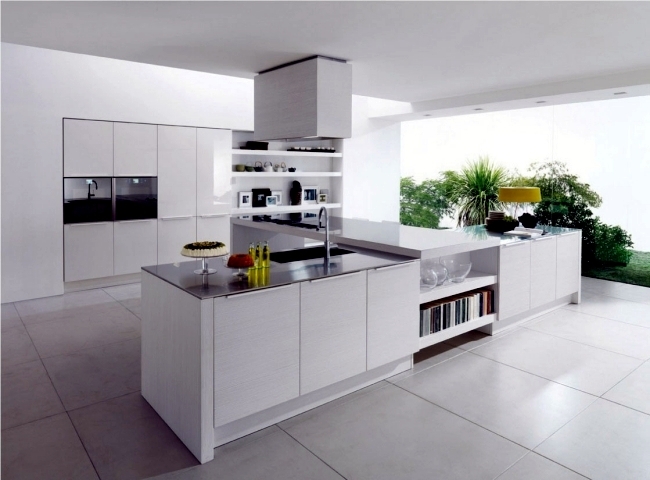 The modern kitchens, but with so many ideas of storage space that you can easily solve this problem. 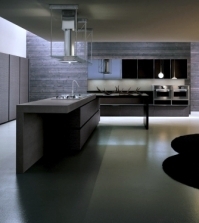 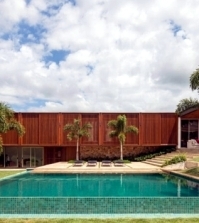 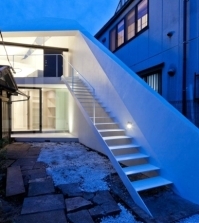 The minimalist design does not always have to be expensive, but avoid the inferior materials. 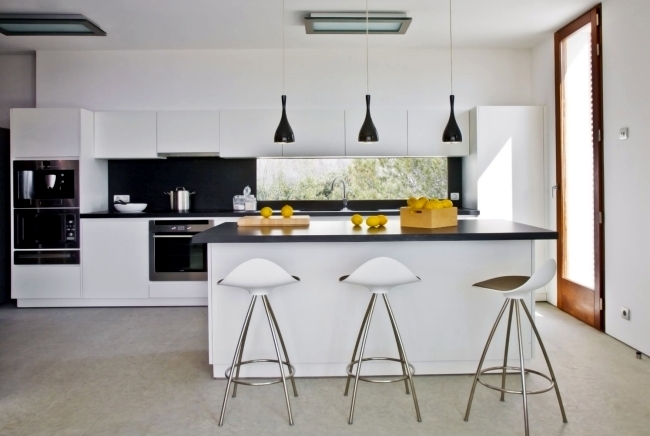 Select simplified on the kitchen island hanging lamps. 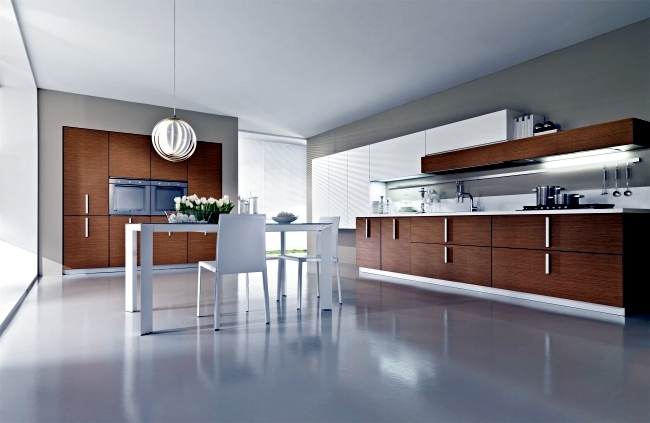 Select high-gloss finish for cabinet fronts and natural stone countertops. 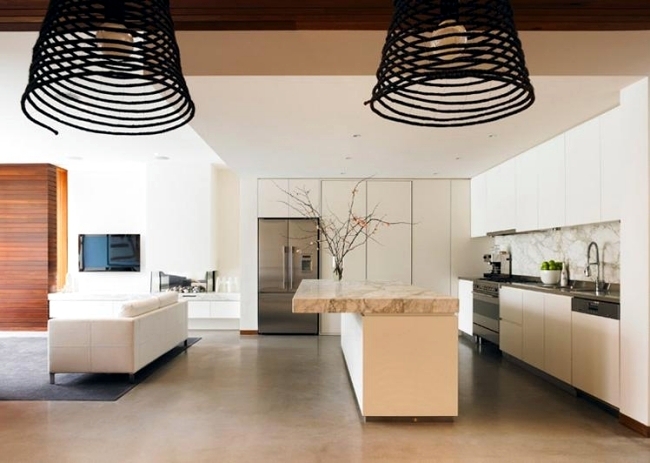 Cleared counters are the key to a minimalist look.